Having a Creative Coworking Membership means that you are joining forces with music-focused entrepreneurs and innovators in Nashville’s only nonprofit production and performance incubator. Not only will you have a guaranteed seat at a desk, table, or chair Monday through Friday 9-5, but you will also have 24/7 overflow access to Center 615 break rooms, phone booths, recreation area, roof deck and fitness area. After hours conference room use included. 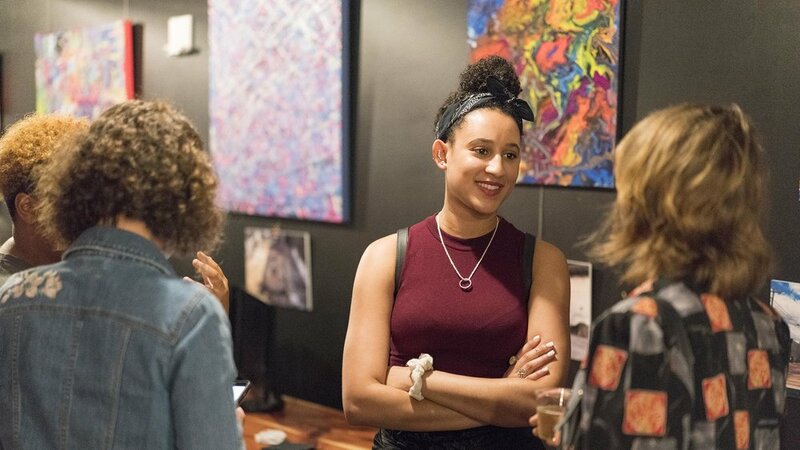 Connect, work, and grow your career around like-minded professionals in a coworking space designed for the music industry. Check out these beautiful spaces designed to encourage creativity and music. Because HOME is part of the Center 615 campus, members gain access the roof deck, courtyard, recreation hall, fitness center, and break rooms. HOME members can use Center 615 Meeting Rooms for collaboration and creativity anytime after 5p on weekdays and 24/7 on weekends free of charge! Coworking Member Rate = $25/hr. Turning music into business is hard work. That’s why we worked so hard to make this room sound great! Full backline and PA provided. Coworking Member Rate = $50/hr. Coworking at HOME means that you can create better content, more affordably than ever before. Price includes use of PA and lighting. It’s time to find your HOME in Nashville. Come build relationships that are relevant to your industry and your career. Discounted event booking rates for HOME and Center 615. Online member directory (250+ contacts). Unlimited Center 615 after-hours conference rooms. Courtyard, rec hall, rooftop lounge, and fitness center. Members-Only Slack and Facebook Groups. The music industry is changing rapidly, so we host weekly workshops and encourage collaboration and among our members. Say goodbye to awkward coffee meetings. Authentically connect with creatives who are pursuing their passion in the music industry. Professionals need a professional workspace. Music professionals need a facility that is designed to keep their projects moving forward. HOME is designed to incubate talent and accelerate music business. Has your career reached its full potential?